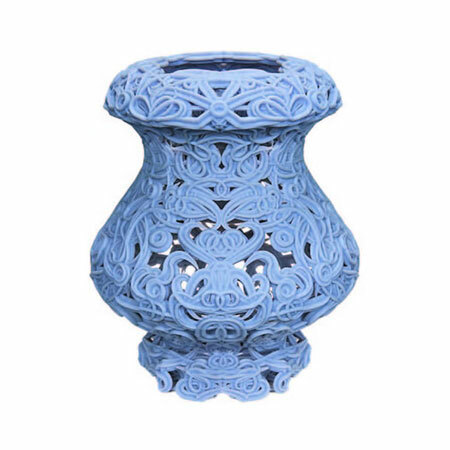 Rapid prototyping is a manufacturing process where an object is built in many layers from a range of materials such as resin, metal, wax, paper etc. 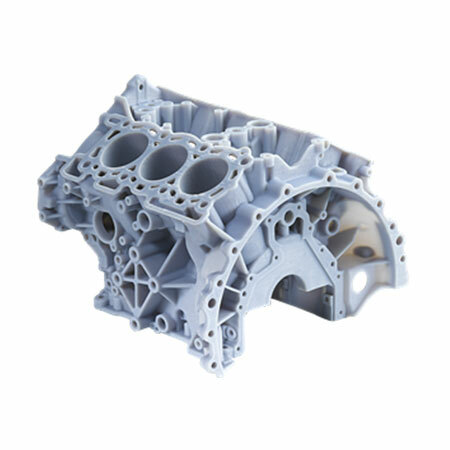 With this process, it is possible to construct objects irrespective of their geometric complexity.Alternatively, a prototype can be built by removing material, from a block (stock) through the use of a CNC.With this method, although we are limited on the geometric complexity, we have a wide range of materials and mechanical properties to choose from. FTS offers prototyping services by using both of the above methodologies. Our in-house Prototyping systems include OBJET EDEN 350V, SOLIDSCAPE and CNC systems (from 3-5 axes precision milling). The size of the prototypes ranges from watch size components to several meters. Our company produces a limitless range of prototypes related to the mechanical engineering sector. The items we build include stand-alone precise mechanical components to complete assemblies. (Example to the right of a two-part mould). We build prototype sculptures designed by us or by other artists or designers. If the sculpture exists as a physical item, our in-house 3D scanning technology is used with the aim to digitally capture the 3D geometry of the item and then reproduce it into any scale required, using a variety of materials. 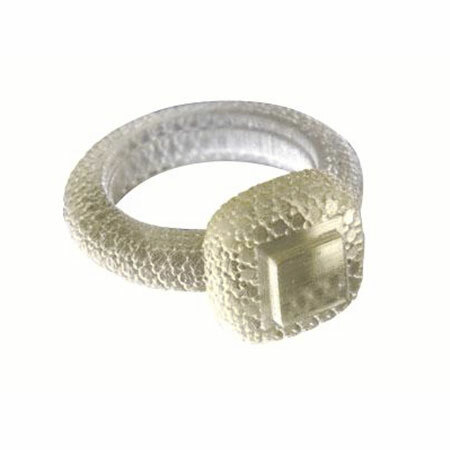 We produce prototype jewellery items for jewellery designers, with high precision. The prototype jewellery item can be burned and cast into metal by following the traditional ‘’lost wax’’ method. 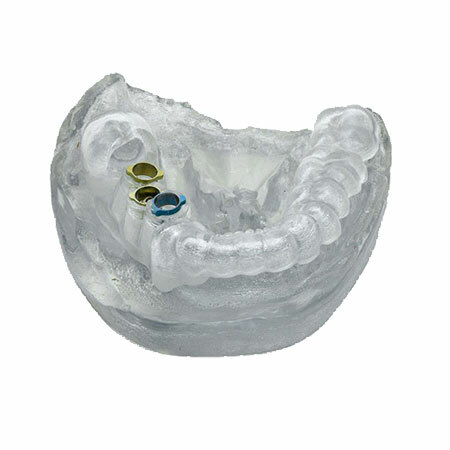 Our high precision rapid prototyping machines, allow us to produce quickly a whole range of dental fixtures, teeth and various auxiliary items using a wide range of resins. These resin prototypes can subsequently be cast into metal, using the traditional lost (wax) but resin in our case method. 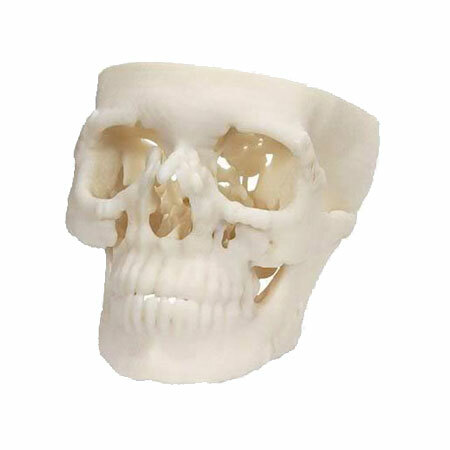 We produce precise physical models of scanned parts of the human body, using in-house state of the art Rapid prototyping machines.These replica models are used in various medical applications such as preparation of complex surgeries, implant design etc. Architects, Interior designers, Product designers, Jewelry, Animation & Entertainment, Automotive, Consumer Electronics, Consumer Goods, Defense, Dental, Education, Hearing Aid, Industrial Machinery, Medical, Medical Equipment, Sporting Goods & Toys and many more.